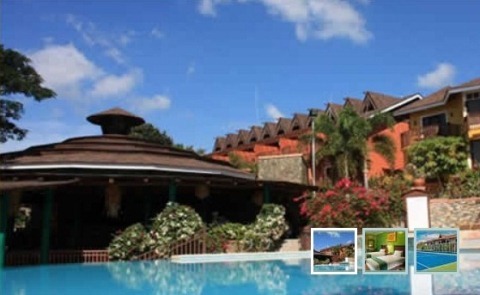 Find out the best beachfront and non-beachfront Bohol resorts. Sleep along the side of cliffs luxuriously furnished rooms. Check out restaurants, infinity pools, a pool bars, function roomss, dive shops. Which one has the longest stretch of white sandy beach? Ever stayed in a tropical garden on the waterside and built thatched huts on stilts under coconut trees? A private cove with white sandy beach is isolated and good for sunbathing. Which resorts are internet savy, with extensive WiFi cover? How about conference and convention facilities (when not lazying on the beach)? Which one is different, a hidden gem, wonderful, paradise, chilled out peaceful retreat, excellent diving, a place you can stay forever? Aside from being beachfront, Alona Tropical has a verdant and picturesquely-landscaped garden that, with the cool sea breeze, assures one of a refreshing stay. It is situated in a wide stretch of Alona Beach, a place where it is quiet and serene yet near enough to the night live bands of its neighbors. Well-equipped rooms ranges from Deluxe Fan, Deluxe Aircon, Poolside and Beachfront Suites that caters to the different needs of the guests. It has a restaurant and bar that offers oriental and continental dishes. Guests can refresh themselves in the freshwater swimming pool and Jacuzzi. Dive and Souvenir Shops are also available. The Amarela Boutique Resort is a 24-room Villa situated along the longest stretch of white sandy beach with a magnificent view of the blue waters beyond and the neighboring islands. Many coconut trees on the beachfront add beauty to the area as well as give much needed shade to the bathers. 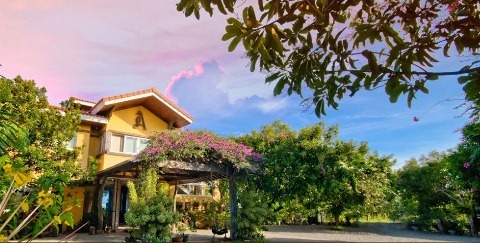 The villa is a two-storey building, built on top of a gentle slope near the shore and overlooking the Mindanao Sea, showcases Bohol’s rich cultural and artistic heritage with its antique massive wooden doors and furniture, old hardwood floors, handcrafted lattice, artifacts, and books. Amorita Resort Bohol is a 4-star resort nestled atop a beachside cliff amidst landscaped grounds and gardens. It is a world class leisure facility, offering 34 luxuriously furnished room accommodations. 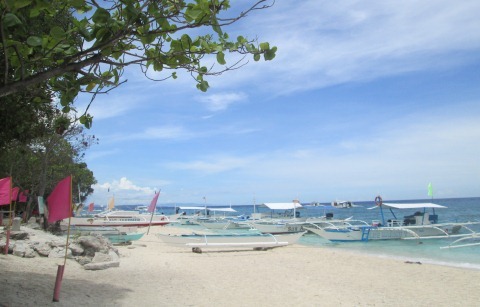 Categorically, the resort is on a beachfront although a few steps up from the coral white sand of Alona Beach. It is the only resort in Bohol that is blessed with a clear, panoramic view of the crystal blue Panglao Sea often dotted with gliding sailboats and catamarans. Amorita Resort Bohol also has a restaurant, an infinity pool, a pool bar, function rooms, and a dive shop; and offers services such as massage, childminding, babysitting, airport & boat transfers and lots more. The whole resort is also WiFi covered. Considered to be an “AA” resort, Bohol Beach Club is an epitome of luxury with all room accommodations fitted with all necessary modern amenities, taking in all the comforts that one would desire in order to live in style while on vacation. Yes! 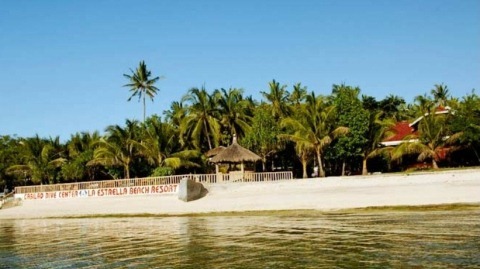 Bohol Beach Club is good for your R&R (Rest and Recreation). It is isolated and far from the roads. With its beautiful and well-tendered gardens, luxurious room accommodations and excellent services, you will feel cared for and experience peace and total rejuvenation. The beach is the Bohol Beach Club’s greatest asset. It stretches 1.5 kilometers with pure white sand and the Club lies in the middle area. This vast expanse of fine, powdery white sand beach sprawls several meters off the shallow shores and are raked daily to remove the seaweeds and other debris that are usually washed ashore. The resort is huge! 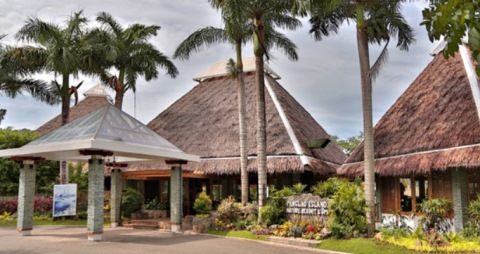 Aside from the rooms, it has 3 swimming pools, a games room, 2 restaurants, meeting and function rooms, WiFi and aqua sport facilities; all spread over the club’s vast property with lovely gardens full of flowers and the beach fringed with tall coconut palm trees, giving Bohol Beach Club a tranquil ambiance. 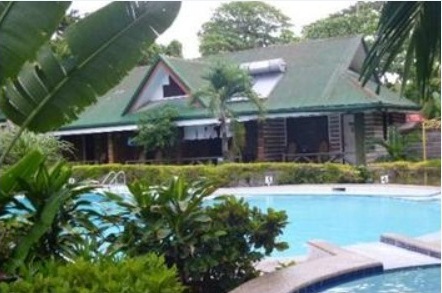 The Bohol Tropics Resort Hotel is a seaside hotel with a magnificent view of Tagbilaran Bay. The resort is situated on a cliff overlooking the Tagbilaran wharf and is a few minutes’ drive from the Tagbilaran Airport. Various accommodations from ballrooms, function rooms and guestrooms, all elegantly furnished with modern amenities for utmost comfort. 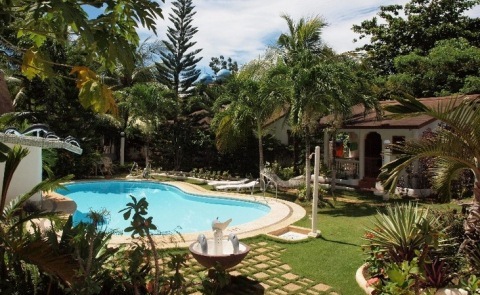 The resort has restaurants, swimming pools and bars situated in beautifully landscaped gardens. 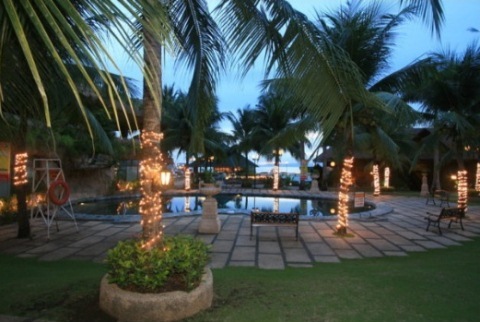 Eskaya Beach Resort & Spa is a 5-star beachfront resort nestled in Panglao Island. With a sprawling 16-hectare lot, 600 meters of it on the beachfront, laying claim to a portion of the 5-kilometer stretch of coral white sand that Panglao Island is famous of. 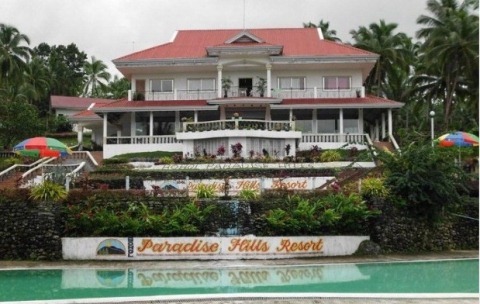 The property is blessed with rolling hills, plateaus, a short cliff, a ravine, caves, and the white sand beach. Guests are treated to awe-inspiring mountain views and spectacular sea views aside from first class spa facilities, fine dining, and prompt and efficient services. Eskaya Resort has everything! The infinity pool is its main attraction. 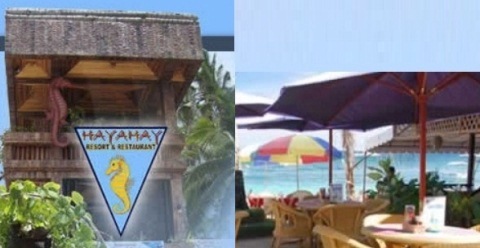 It has a restaurant that commands a good view of both the crystal blue sea and the pool. The spa offers Filipino and Asian spa treatments with rituals using a combination of music and touch therapy. It also has a dive shop, conference rooms, library, and areas for sport activities. The well-kept gardens, the cool sea breeze, the white sandy beach and the crystal blue waters, on top of all these, make Flushing Meadows Resort truly a tropical paradise. Panglao Island Nature Resort & Spa is one of the most luxurious beachfront resorts Bohol has to offer. The place is beautifully landscaped with palm trees and other greeneries. The huts are arranged near the cliff while others are near the gardens. The whole place exudes a sense of peace and tranquility, far from the hustle and bustle of city living. It is a place where one can unwind, relax and rejuvenate tired muscles and low spirits. From the sea, Panglao Nature Island Resort & Spa commands a lovely postcard view. The cone shaped roofs of the huts tower above the trees and the greeneries that line the cliff. A long white beach is below it and beyond, the blue waters. Truly fantastic to look at! Balicasag Island Dive Resort Bohol has a total land area of 1.5 hectares and situated on a long stretch of sandy shell and coralline beach with crystal blue waters beyond. Operational since March 16, 1989, the resort promotes underwater sports and protects a 400 meter marine life sanctuary. 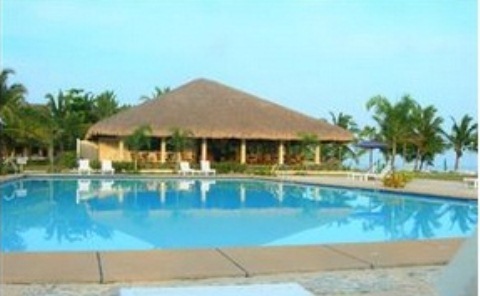 Dumaluan Beach Resort offers a serene atmosphere. The sea is emerald green; there are a lot of fishes, star fishes and sea shells along the bay. It has pink sand. And the sea bed is "Talcum powder", no kidding! I love it! We love it! Panglao has so many things to offer. The Flower Beach Diving Resort is a new beach and diving resort endowed with white sandy beach with little native thatched huts that dots the area to provide shade. Beach beds and umbrellas are free. Water is shallow at all tides and is safe for the children. A little way off where it is deeper is good for snorkeling and scuba diving. Boating is another pastime indulged in by the locals and the guests. The beach is a favorite landing area for fishing boats bringing in the catch of the day. 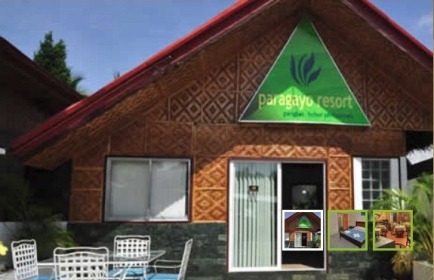 Isis Bungalows Resort Hotel Bohol is a resort hotel in Panglao Island under Swiss supervision. The resort boasts of world-class room accommodations with complete amenities and is located right in the middle of Alona Beach which is part of a one-kilometer stretch of powdery white sand considered as the best beach in the island. It commands the greatest view of the beach, being situated only 10 feet away from the blue waters. 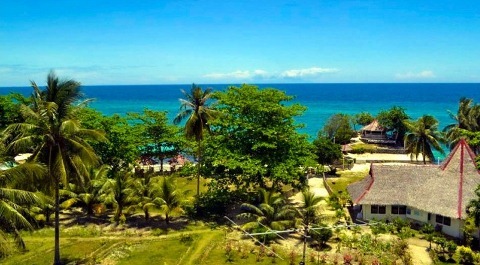 The Isla Hayahay Beach Resort is a beachfront resort situated on the flat island of Pangangan amidst tall coconut palm trees and sparse vegetation including corn and cassava; with limestone outcrops dominating most of its vacant and undeveloped areas. The resort has an area of 946 hectares where about 115 hectares has been declared as a Mangrove Swamp Forest Reserve. La Estrella Beach Resort Bohol is situated on a stretch of white sandy beach fringed with coconut palm trees at Cabilao Island. Its surrounding crystal clear water makes it ideal for swimming, snorkeling and diving. The island is almost completely surrounded by an intact coral reef – the habitat of schools of reef fishes, colored corals, and anemones. The resort is a beautiful and stylish ensemble of bungalows and a restaurant in a lush garden, located next to the beach. There's also a swimming pool and a diving school. The staff is outstandingly friendly, helpful and considerate. Paradise Hills Resort is one of the most visited places in Bohol because of its clear and refreshingly cool waters of a fresh spring. 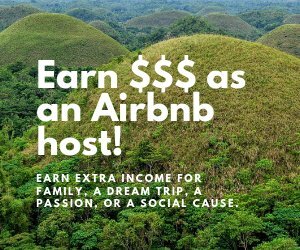 It is located in Barangay Matin-ao, Sierra Bullones, Bohol, more than five kilometers away from the Poblacion. Proud to be a 4-star hotel, it offers nothing but the best for the tourists. From the place to the view to ambiance, a complete relaxation is surely guaranteed.